Engineered meat is taking on a new flavour as an entrepreneur aims to help people make animal-free meat at home, like brewing beer, by sharing cell cultures. Think of producing your own meat in your lab at home without slaughtering animals. With a few cells and a container, the process could be no more complicated than brewing your won beer or prickling vegetables. That is the dream of Isha Datar, the CEO of New Harvest, a non-profit organisation looking to create everything from burgers to silk from cell cultures. Cultured meat isn’t a new idea but it has largely focused on mass-producing beef and pork. In 2013, the first tasting of a lab-grown burger in London grabbed headlines, but the showpiece cost €300,000 and took a year to create. The taste of the burger was described as intense, ''close to meat but not as juicy''. Growing large quantities of meat from cells in a sustainable way is still far off, with availability of stem cells and and taste of the resultant product major challenges to solve. However, Datar is working with Paul Mozdiak from North Carolina State University and his colleagues, whose work on producing cultured turkey could provide long lasting solutions to those challenges. 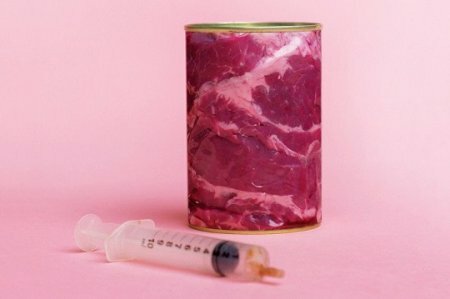 Mozdziak thinks that a scaled-up cultured meat prototype could be available in three to five years, but would take longer to appear on supermarket shelves or to join the ranks of DIY food. But once the process is refined, meat as we know it can be reinvented, for example, by creating novel flavours and consistencies. “It’s absolutely possible to tweak taste and texture,” says Mozdziak. Would you eat meat produced from the lab?